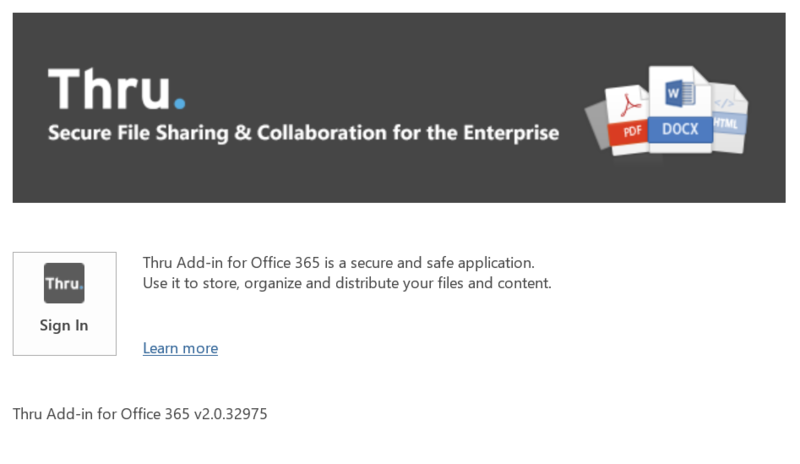 First, open up the Office app that you would like to use (Word, Excel or PowerPoint) and create a new file. 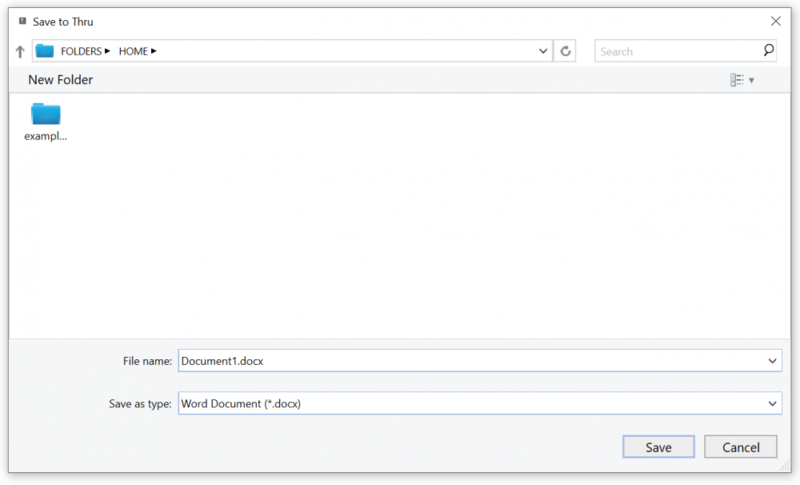 For this example we will create and save a Word document. 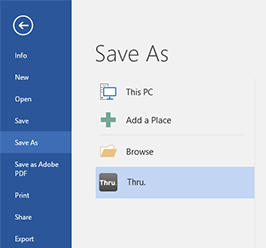 After creating a new document, go to File > Save As in the Office application and select the Thru icon to save the file to Thru. *If you just downloaded the add-in and you do not see the option to save to Thru, it may be because the Office app was opened when you installed the add-in. Close out the Office application and restart it and the add-in will be activated. After selecting the Thru icon, you will be prompted to sign in to your Thru site if you have just set up the add-in or were signed out. For more on signing in, go here. After signing in, give your document a name and click the Browse Thru button (see image below) to choose the folder on your Thru site where you want to save this file. 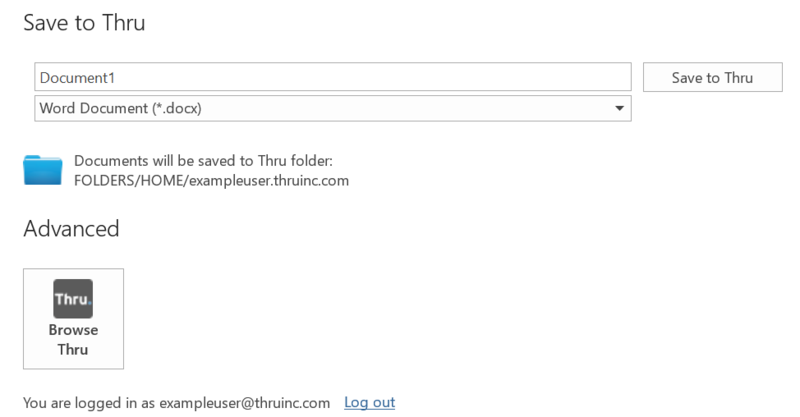 The file can be added to either your personal folders or within shared folders in Thru. Click Save when you are finished browsing. The file will then be saved to the chosen location in your Thru site. *Files saved using this add-in are saved only to your Thru site, no local copy is saved to your desktop storage. Once the file is saved to your Thru site, every time you make new changes and click “Save” the file will be updated in your Thru site.